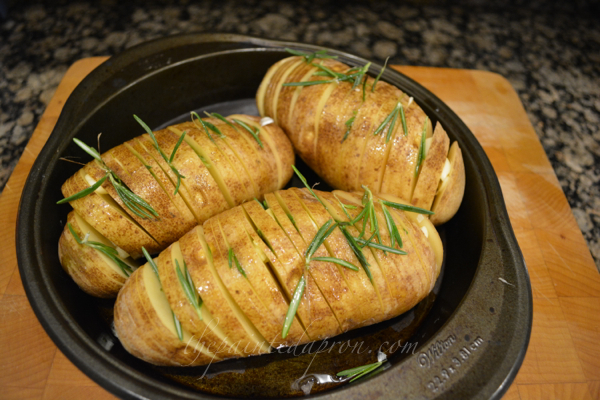 Season liberally with Rosemary Salt, or fresh rosemary and kosher salt [or seasoning of your choice]. Drizzle with Olive oil. 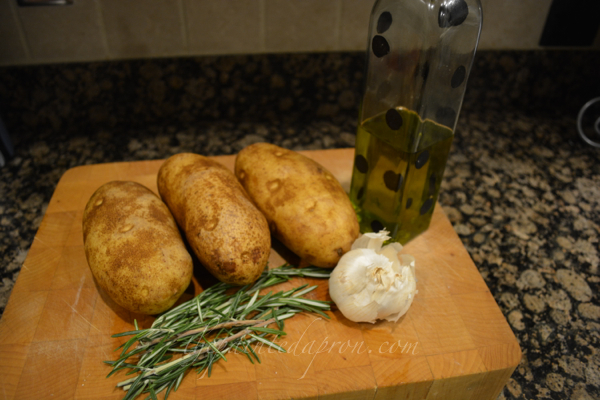 I used lemon Olive oil, but use any flavor you like. A little Truffle oil would be good too. 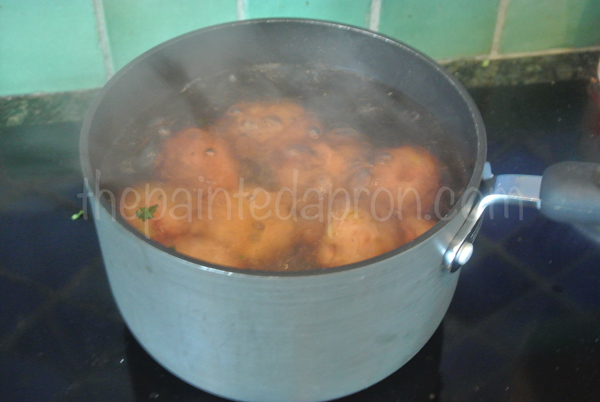 Boil potatoes 20 minutes or until they are soft enough to smash down but still retain their shape. 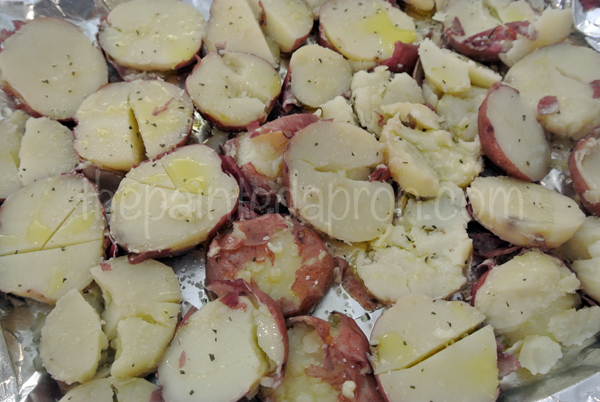 Cut potatoes in half and place on a foil lined baking sheet that has been sprayed with cooking oil spray. 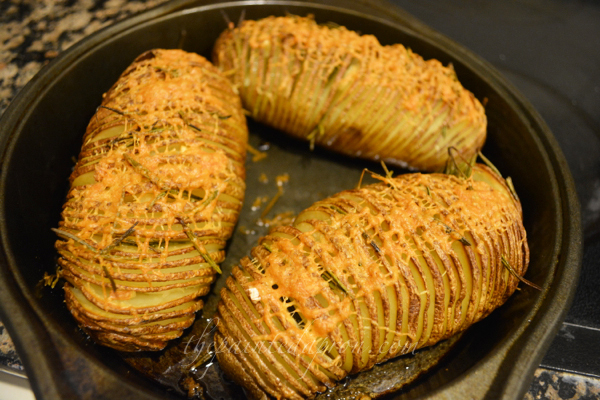 Use a big spoon or potato masher and “smash” potatoes into a flattened shape. Drizzle liberally with olive oil and seasonings. Bake at 400 for 45-60 minutes until brown and crispy on the edges but still soft in spots. 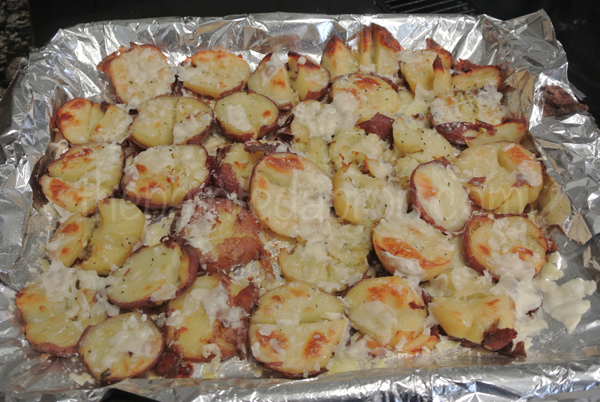 Sprinkle with cheese if desired and return to oven for a few minutes to melt. 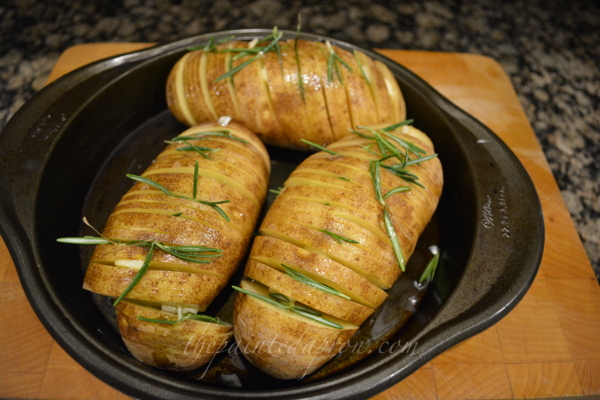 You can prepare these earlier in the day, cover the pan and refrigerate until baking. 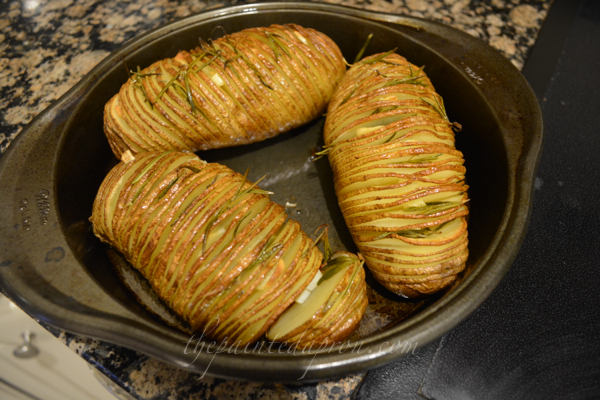 After baking at 400 for 1 hour, invert the potatoes and and discover a buttery, cheese crust, MAGIC! Thanks Linda, so nice of you! Here’s to the busy days ahead! Both look really good…might try the top one before Thanksgiving! Thanks for sharing with the Thursday Blog Hop! I want to try them all, of course I do, they look fabulous! Hope you are having a great day and thanks so much for sharing this awesome post with Full Plate Thursday.